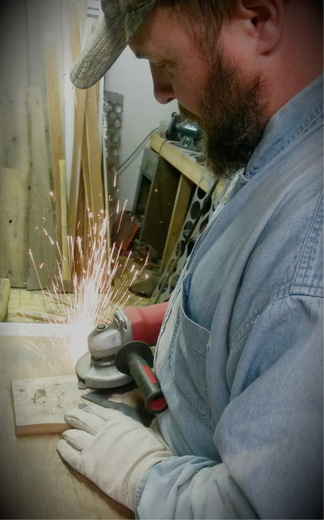 Hackworth's Wood and Steel, LLC is a locally owned and operated business nestled in the heart of the Appalachian Mountains in Southern West Virginia. We custom design steel art from high quality stainless steel and hand finish each piece so that each one is unique. Our stainless steel pieces will last a lifetime. Our wood pieces are either made from reclaimed lumber or hand hewn lumber from Fayette County, West Virginia. Custom orders are available upon contact.